Politicians today pledged the brutal killing of MP Jo Cox will not stop them doing their job. Fylde and Wyre MPs paid tribute to the 41-year-old MP who was stabbed and shot in the street as she headed to a scheduled surgery in her Birstall constituency. But they pledged to continue meeting the public face-to-face at surgeries and public events. Anything else, they said, would “drive a wedge” between politicians and the public. However, Fleetwood MP Cat Smith yesterday cancelled her planned appointments in the wake of the killing. 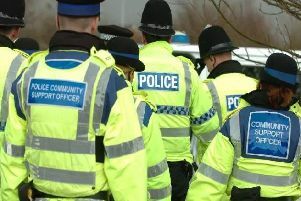 Following discussions with officers investigating previous threats made against her and her staff, pre-arranged surgeries are now expected to be held today as originally planned. Ms Smith, who was in the same intake into Parliament as colleague Jo, said: “Occasionally, people say ‘It’s part of the job’. She said abuse took different forms, and said: “In general, there are posts on social media, there are emails which you get that are vile, and people feel free to say all kinds of horrible stuff to your face. Speaking about her colleague, who represented Batley and Spen, she said: “The sharpness of the grief and shock will dull with time but I shall forever know that the world has been robbed of one the best. “All who knew Jo feel devastated and we need to ensure that some good can come out of this tragedy, for the sake of her little children if nothing else. Ms Cox, who was elected to parliament just 13 months ago alongside the Fleetwood, was described as one of the rising stars of the Labour Party. Ms Smith added: “She, like other MPs, hosted advice surgeries to offer support and help to her community, a voice for the voiceless and an advocate for the downtrodden. “She wouldn’t want that to be lost because of the violent and mindless way she was murdered. Blackpool South MP Gordon Marsden said the tragic incident should not drive a wedge between MPs and the people they represent. He said: “We are all shocked and feel for her family. “I knew Jo as a colleague, from her significant interventions in Parliament on humanitarian matters and from her excellent maiden speech which showed how powerfully she was rooted in her own constituency. “People may think that being an MP is all about the work we do in Parliament itself but there is so much work carried out in our constituencies for the people there. “It is terrible to think that Jo, on an ordinary Thursday in Birstall, was going to do what any of us might do when she was killed in this manner. “It prompts questions about the motive of the individual and of course about the balance between security and accessibility. “But like most of my colleagues I am absolutely determined to be as accessible as possible to the public. “But we also have to think about our members of staff too. “They too can be vulnerable. In 2000, a parliamentary assistant died when a man with a sword tried to attack the Cheltenham MP Nigel Jones. “It is absolutely crucial that everyone has a responsibility to weigh their words carefully these days when the Internet and digital media can be so powerful and can influence certain people. ​Blackpool North and Cleveleys Conservative MP Paul Maynard said: “It is an absolute tragedy and everyone’s heart go out to Jo’s husband and family. “But as an MP the key part of our job is being out there and part of the community. “We would not be fulfilling our role if we do not do that. “There will always be an element of risk, it goes with the job and it would be awful if we had to lock ourselves away. “But it is not just the MPs, it is their staff too. “They have to be in contact with the public in the constituency every day and it is important that they are kept safe as well. “There is an impressive amount of security assistance available from the Parliamentary authorities should an MP require this and it may be that this terrible incident may encourage MPs to consider that. Fylde MP Mark Menzies said: “Jo was a new and very promising MP and it is an extremely sad day for British politics and, of course, her family, who must be going through hell right now. “One of the cornerstones of our democracy is the accessibility of MPs to the people they represent and I believe it is vital we continue to keep those channels open, as we cannot bow down to violence and intimidation. “While I have had some difficult surgeries which have required delicate handling I have, thankfully, never been in a position where I have felt in danger. “However, security has always been an issue for people who have to make difficult and sometimes unpopular decisions and there are a range of precautions we take to ensure the safety of myself and my staff. Wyre MP Ben Wallace said: “We’ve all had, and I do have, people that have made threats. They are usually mentally ill, but it goes with the territory. “If you take basic precautions you can minimise the risk, but politics is about people and that’s more important than anything else. “I think poor Jo was in the wrong place at the wrong time and was very, very unlucky. Yesterday David Cameron, Jeremy Corbyn and John Bercow have united to pay tribute Ms Cox in Birstall. The Prime Minister said the nation was “rightly shocked” at her death. Mr Corbyn said: “Jo was an exceptional, wonderful, very talented woman, taken from us in her early 40s when she had so much to give and so much of her life ahead of her.